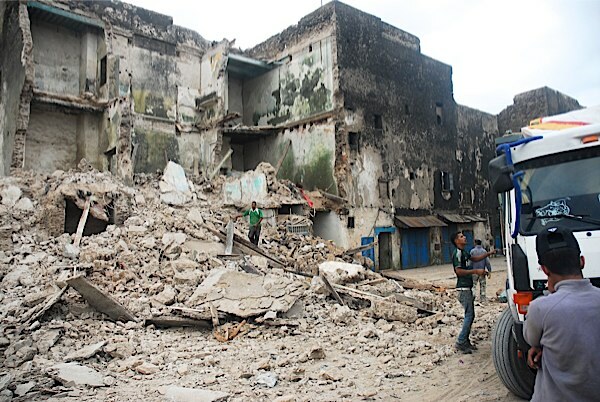 What is the meaning of the word "Mellah"? 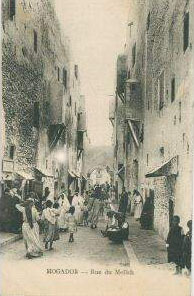 There is a judeo-arabic letter from 1541 in which the word “mellah” has the meaning " place where the Jews lived". Another more recognized explanation is that the word " mallâh " means "salt", in arabic. When muslim soldiers and warriors came back from battle, they would bring back the severed heads of their ennemies as trophies. A task forced upon the Jews was to salt those heads so that they would be preserved impaled. 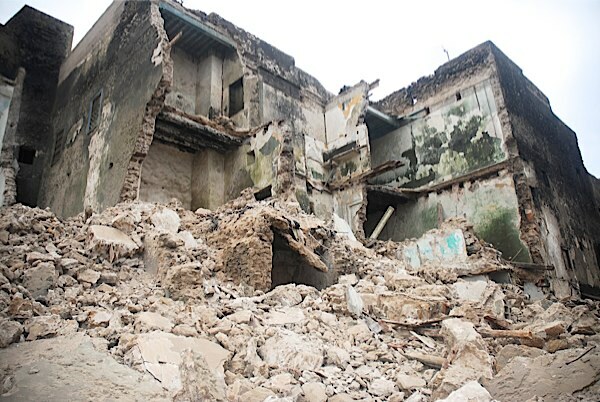 Rabbi Haim Pinto Synagogue in danger. Castle Bétaille and was back in Paris June 20, 1946.
in the new quartier Mellah Jdid. 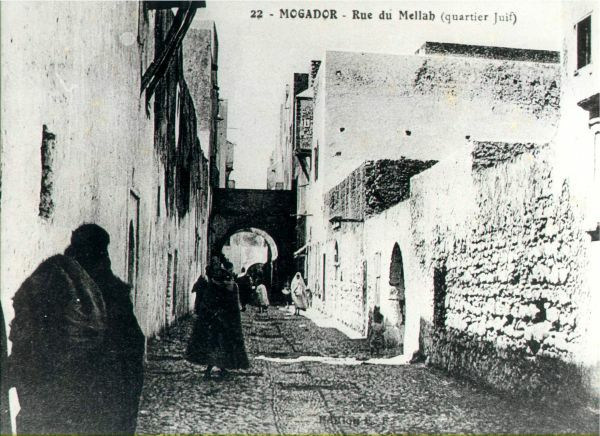 The old Mellah (El Qdim) was situated i the centre of the town bewtween the Kasbah and the actual Mella Jdid. 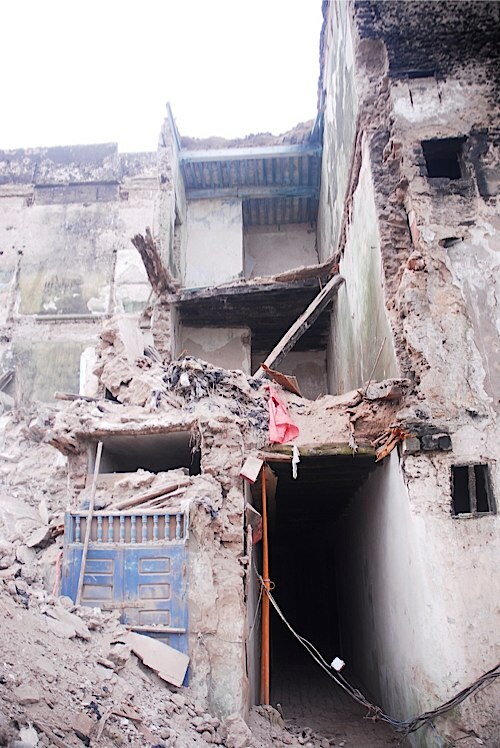 Abandonned houses now slowly fall apart in the mellah, caused by the weather and the sea or the theft of wooden floor boards. 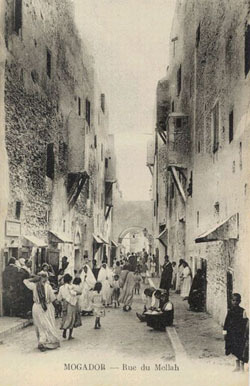 Mellah is a walled Jewish quarter of a town, a ghetto. 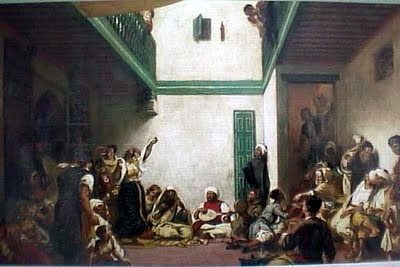 Jewish population were confined to mellahs in Morocco beginning from the 15th century and especially since the early 19th century. 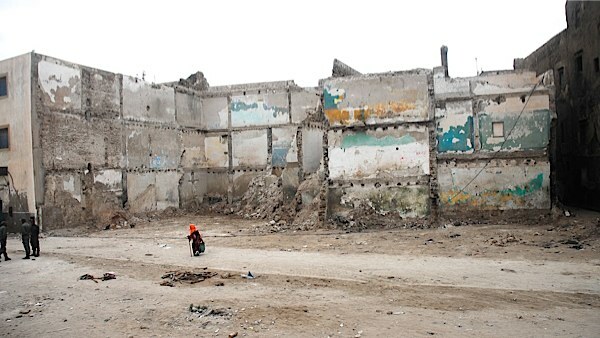 The term mellah connotes not just the physical space where jews lived but also the communal space of the Jews. 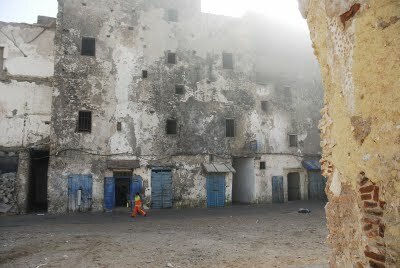 The mellah was usually walled with a fortified gateway. Frequently, the mellah was located to a corner of the city, having its own gates, allowing full segration between Jews and Muslims. The system of isolating the Jews was both discriminatory as well as a method of protecting them from Muslim violence. 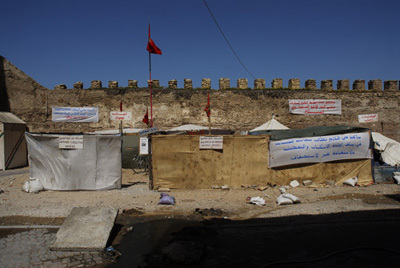 The rule was that the gates to the mellah were closed during night. 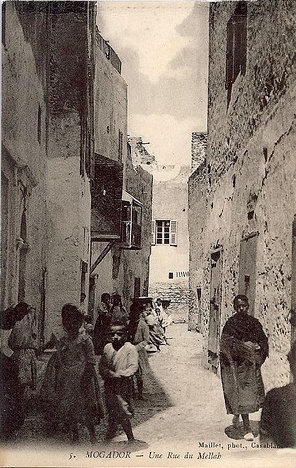 In many places around Morocco, the Jews lived in Muslim quarters. Still, Jews did not enjoy the freedom of Muslims. "We could see them take off their black shoes /outside mellah/ as a distinction with the muslims who alone were allowed to wear yellow shoes..."
The Sultan Sidi Ben Abdallah (1757-1790) also settled a large number of Jewish merchant families (the tujjâr al-sultân , or “sultan's traders”) in Mogador in order to take better advantage of their business connections with Jewish merchants in European cities such as Livorno, Liverpool, and Amsterdam. 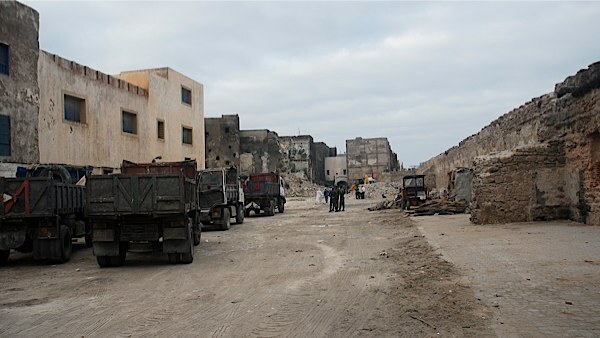 By the late 18th and early 19th centuries Mogador was the only port (outside of Tangier) that was open to European trade. 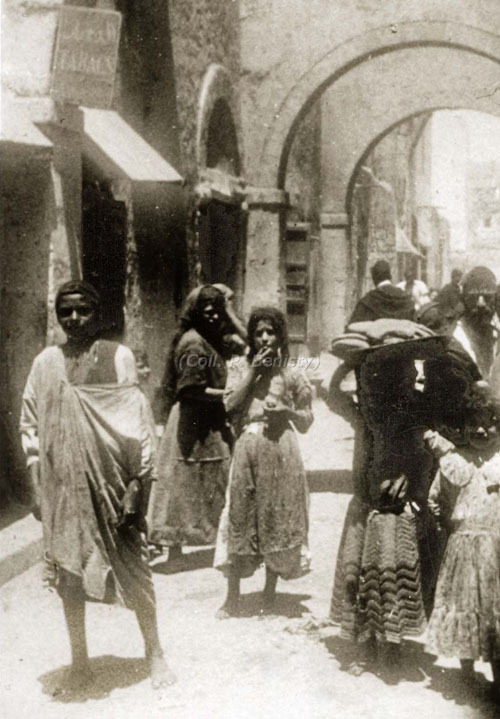 This protected trade status attracted British merchants, who settled in the Kasbah and a large Jewish community, 40% of the city's population was Jewish. 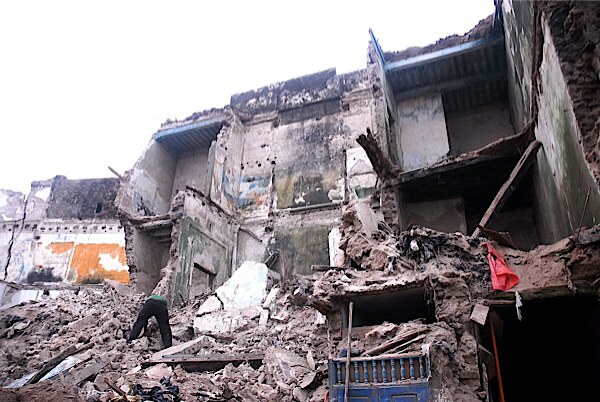 When the city's first mallâh , Mellah Kedim, became too small, a new Mellah was built. 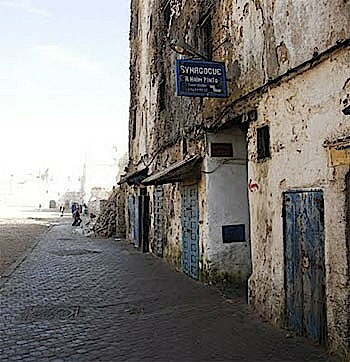 Essaouira's economy was dealt a major blow between 1948 and 1967 when most of its remaining Jewish population emigrated to Israel, France and Canada. Space in former Jewish neighborhoods was then filled with rural migrants. Essaouira used to be an example of a small Arab town in which Muslims and Jews lived side by side in both rich and poor districts, working together but socially segregated - and in peace. 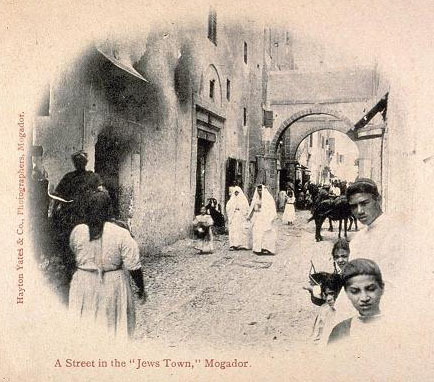 It was unique because there were almost as many Jews as there were Muslims, so the term "minority" did not really apply, as it did in every other town and city in Morocco and everywhere in the Arab world. 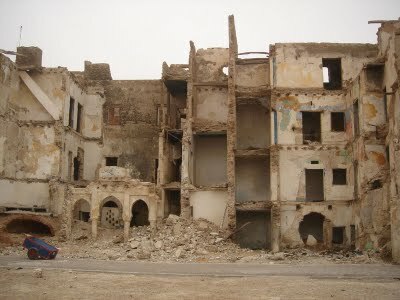 "As soon as he arrived in Mogador, he discovered that life in the mellah was even more miserable than in his hometown. He lost his wife and five of his seven children to the tuberculosis epidemic in the area, and the two survivors - two boys - decided to join their cousins in Brazil, where they successively became nut farmers, rubber producers. and mountebanks on the Amazon. 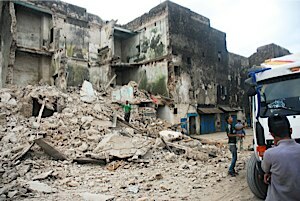 They regularly sent money and parcels through couriers who were the link between Brazil and Tangier." 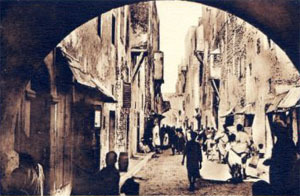 1438: The first mellah is established in Fez. 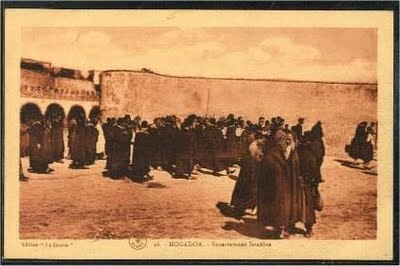 1465: A majority of the Jews of Fez are massacred by Muslim thugs. 1682: A mellah is established in Meknes. 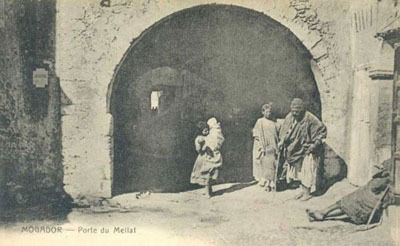 Early 19th century: Across Morocco, Jews are forced to settle in mellahs, many newly established. 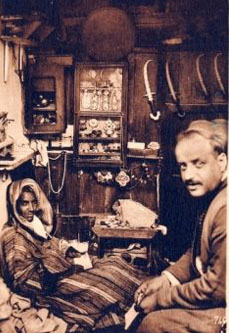 Mid 20th century: Large-scale emigrations of Jews from Morocco to Israel; houses and property are abandoned, usually without compensation, and left for the Muslim locals. 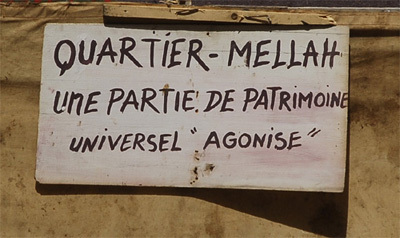 The mellahs become Muslim neighbourhoods. and pics from the home of Rabbi Haim Pinto. The building far left is the old Jewish school. 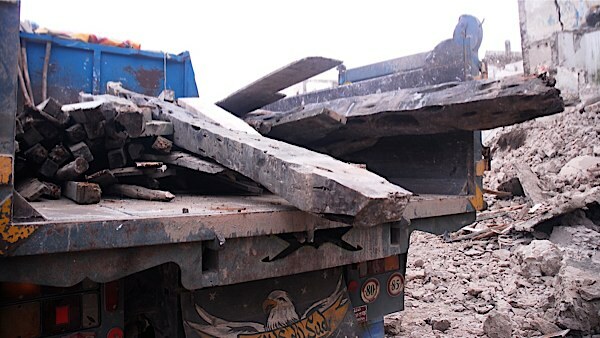 which is in a good condition.